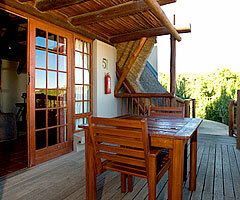 The main Rest Camp in The Addo Elephant National Park is situated near Addo and close to the entrance gate. Roads within the Rest Camp are tarred whereas all other roads in the park are gravel but well maintained none the less. There are 61 accommodation units of various types, style and size available for rental in Addo's Rest Camp (See list below). 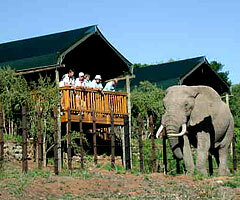 The main Rest Camp in the Addo Elephant park has an al-la-carte restaurant open from 07:00 - 22:00 daily (times may vary according to season) but it is advisable to book, especially for dinner. Pop into the curio shop boasting a plethora of African and wildlife gifts and trinkets to remember your walk on the wild side. The curio shop also stocks snacks and basic supplies. Take a dip in the swimming pool in the scorching summer months (Nov - Feb), available to overnight guest only. 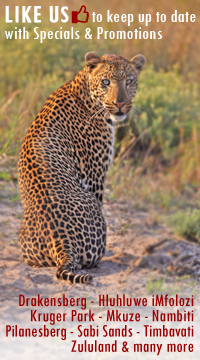 Activities in Addo's Rest Camp include day and night drives as well as well-supervised horse trails - not for persons under 16 years. Did you know that Addo Elephant National Park embraces the largest coastal dune field in the southern hemisphere, not only does it pride itself in the Big 7, elephant, rhino, lion, buffalo, leopard, southern right whale and great white shark, it also protects the world's largest Cape gannet population on Bird Island. 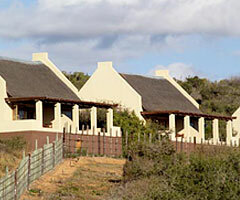 If you have a keen interest in birds, Addo rest camp has a prominent inhabitance of Karoo and Cape Robin, Southern Boubou, Southern Tchagra, Bokmakierie and Cape Bunting. Fiscal Flycatcher, Brown-hooded Kingfisher, Malachite, Fork-tailed Drongo and Greater Double-collared Sunbird also easily spotted. 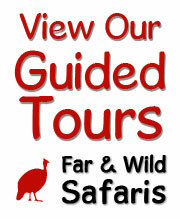 Please note that no meals are included in the accommodation rates. Prime location overlooking a floodlit water hole. 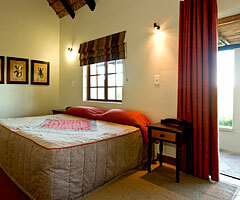 Each guest-house has two bedrooms with en suite bathrooms, a spacious living room and fully equipped kitchen. For those infamous scorching days each house comes with air conditioning and an additional fan in the lounge. Sleeps a maximum of 6 persons. 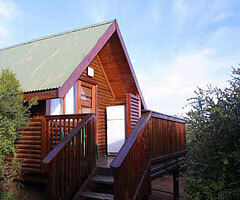 The chalet can sleep either two adults and two children or three adults. 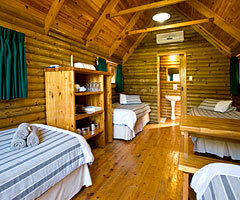 Each chalet has two single beds and a double sleeper couch all in the same area ruling out much privacy. 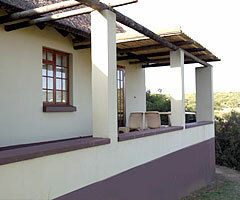 There is no separate living area but has a fully equipped kitchen and a bathroom with bath and shower. Two of the chalets have been adapted to facilitate paraplegics. The chalet sleeps a maximum of 2 persons. The open-plan unit has two single beds, fully equipped mini kitchen, bathroom, outside braai area and much needed air conditioning in the summer months. These can only accommodate 2 persons. 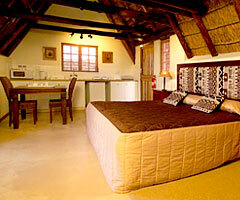 It consists of two single beds, bathroom and kitchenette. 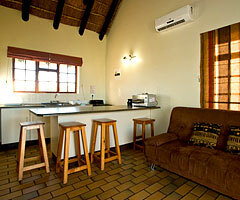 The kitchenette has a 2-plate stove, microwave oven, bar-fridge, crockery, cutlery and basic cooking utensils. 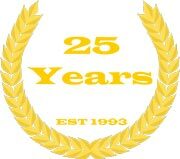 Air conditioning which may prove vital for some. Sleeps a maximum or two persons. 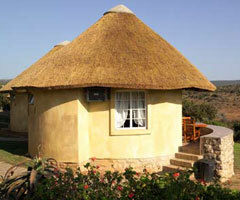 It has two single beds bathroom and kitchenette. 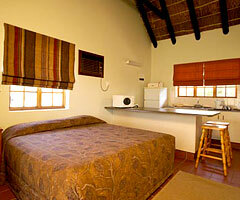 The kitchenette has a 2-plate stove, microwave oven, bar-fridge, crockery, cutlery and basic cooking utensils. The cottages do not have air conditioning but do have a fan. 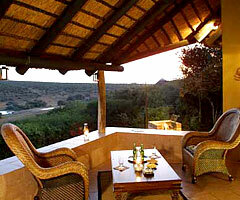 Great location overlooking a floodlit water hole. The rondawel only sleeps two people on two single beds. It has a bathroom with shower, hand basin and toilet. Each rondawel comes with air conditioning and its own fridge but no private kitchen as there is a communal kitchen with four plate stove (no oven), crockery, cutlery and basic cooking utensils. Bear in mind that the kitchen and all its utensils are shared with the other rondawel guests. Sleeping a maximum of four persons, the cabin is an open plan area consisting of four single beds, a table and seating for four people as well as a private bathroom with shower, hand basin and toilet. Each cabin has its own fridge and comes equipped with cutlery, crockery and basic cooking utensils to be used in the communal kitchen. Braai facilities available. The family chalet can sleep a maximum of 6 persons. The unit comprises one bedroom with a double bed, a bedsitter area with two single beds and a double sleeper couch, a bathroom and a fully equipped kitchen. 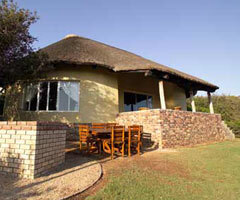 It also includes vital air conditioning for the infamous African heat in the summer months. 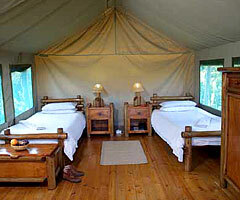 The safari tents are situated within the existing camp site area of the park alongside the perimeter. Each tent has two single beds with bedding, towels, bar-fridge, fan, braai and separate communal ablution facilities with showers, basins and toilets. 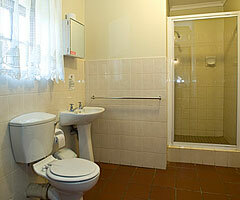 Alternatively, you can use the larger ablution block in the camping area which also has baths. There is a communal kitchen with two plate stoves, crockery, cutlery and basic cooking utensils for each tent.